Russia and China lost an acrimonious bid on Tuesday to stall the global chemical warfare watchdog's new powers to attribute blame for attacks like those in Syria. After a bitter war of words, the Organisation for the Prohibition of Chemical Weapons voted against Moscow and Beijing's attempt to challenge a June decision to grant the body the new finger-pointing ability. Britain and the United States had accused their rivals of trying to effectively reverse the earlier change to the Hague-based watchdog's rules. "A clear majority against an attempt to wreck the historic June decision," British ambassador to the OPCW Peter Wilson said on Twitter after member states on Tuesday voted 82-30 against the Russian-Chinese plan. 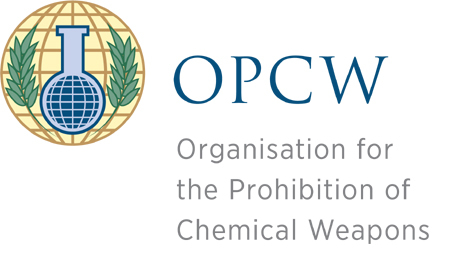 Member states controversially decided in June to allow the OPCW to attribute blame for attacks for the first time. Previously, it had only been able to confirm the use of chemical weapons, but not who used them. But Moscow and Beijing made a last-minute proposal at an OPCW meeting this week to set up an "open-ended expert group" on the OPCW's new role before it starts any such investigation. Iran, Syria, India, Pakistan, South Africa, Palestine and Cuba were among those that backed the Russian-Chinese motion, along with many central Asian former Soviet republics. Countries will later hold a crucial vote on whether to approve the OPCW's 2019 budget -- a move triggered by Russia and Iran in protest at funding in the budget for the new attributive powers. Normally the watchdog's budget is approved without a vote. Russia and the West traded bitter accusations of lying and hypocrisy on Monday as the OPCW debated the issue. The West pushed through the new blaming powers after a string of chemical incidents in Syria, as well as a nerve agent attack on Russian former double agent Sergei Skripal in the British city of Salisbury in March. The OPCW says it aims to set up a team early next year that could attribute blame for all chemical attacks in Syria since 2013. It will also be allowed to point the finger for attacks elsewhere if asked to by the country where the incident happened. Russian envoy Alexander Shulgin said Western claims of chemical weapons use by Damascus and Moscow were "out and out lies" and said the new powers were "illegitimate". US Ambassador Kenneth Ward however accused Russia of "pungent hypocrisy" and warned against allowing a "new era of chemical weapons use to take hold.